Question from Kasey in Pennsylvania: I always seem to have a headache that never 100% goes away, and it usually varies day to day. It can get worse by mid to the end of the day. I don’t have bad jaw pain but could that be a culprit, can foods cause tension headaches? I am sorry to hear you are spending your entire life in pain. I hope I can help ease your burden. Most (almost 100%) of headaches are from Trigeminal Nervous System. The Trigeminal Nerve is also called the dentists nerve because it goes to the teeth, jaw muscles, jaw joints, sinuses, gums, and periodontal ligaments. The Trigeminal nerve also controls blood flow into the anterior two thirds of the brain. The two main methods of causing headaches is referred muscle pain and vascular / neurogenic factors bot closely connected to jaw function. Please visit my other site www.ThinkBetterLife.com to learn more. I frequently see long distance patients and we make special scheduling arrangements. Would you like me to have a team member contact you? Kasey Response: How is it known almost 100% of headaches are caused from that nerve? Well i have had headaches for years and just in the past two years or year my jaw seems to have more tension now. When the headache gets bad or moderate i seem to really feel it in my jaw/facial area in a way but the headaches are always top of head, whole head, sometimes more localized and slightly migraine like and in my eyes. I am unsure if it is always sort of there or not. Can tmj really cause this? I guess I am lucky i don’t get severe migraines.. I am thankful for that, msotly seem to get tension headaches that develop as the day goes on. Considering trying wobenzm, lots of fish oil, have tried ginger, willow bark, turmeric doesnt seem to do much. Haven’t tried high dose riboflavin. Was on elavil in the past, also found i have lyme, which i am sure many have in them, candida, other co’s. I feel the headache started before these, but who knows. Maybe candida can cause constant headaches? I have it narrowed down to pathogens, constant inflammation, eyes (vertical heterophoria possibly? ), needing an atlas adjustment (or regular chiro? ), food sensitivity or tmj related like you mention. can something like the smart guard mouthguard help? (Prevents back teeth touching) can tmj or clenching in sleep be a secret cause of daily headaches? Can inflammation in the body / from the immune system cause constant headaches instead of arthritis? And can many people have a spinal misalignment and not know it that causes headache? Thank you!! Where are these doctors located, is I Hate Headaches headache specialists? Excellent Questions! I am actually going to send a few PUBMED abstracts to explain. It is generally known to all Neurologists and headache treatment doctors. Only one group of headaches includes trigeminal in their name. The Trigeminal Autonomic Cephalgias. As to the question of how to find doctors to help with this problem. This is more difficult, but I strongly Rx that anyone looking for a Physiologic Dentist go to ICCMO.org. I established I Hate Headaches several years ago. It was originally to be resource but funding suffered when the economy collapsed. 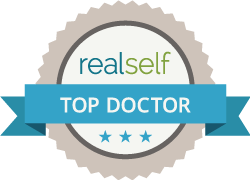 Many patients see me in Chicago but I can help you find a doctor in your area. The connections to the atlas/ axis , immune system, posture, etc go and on and on. The easiest method to thin about it is in terms of a automobile; If the engine, transmission , axels wheels etc are perfect the car runs great. If you get a flat tire but keep driving you will have four flats, bent axels, bad transmission and motor and not have a functioning car. Problems begin at the weakest link and spread as secondary problems across the body. In different patients their are different weak points. Question from Kasey: I am in Pennsylvania near XXXXXXXXX, unsure any are near me. So the jaw nerve can cause tension headache even without jaw pain? And it can cause constant headaches? I read an atlas adjustment can fix it, so should I look into that possibility first? I’ve also read about vertical heterophoria, that can cause headache too. I ordered the smart guard and am thinking of trying the aqualizer. Could the aqualizer show if I have a misaligned jaw/bite or not? Do you use repositioning splints? Yes, the Trigeminal nerve can cause all kinds of problems even without jaw pain. Input from the trigeminal nerve has an enormous effect on the CNS. Atlas Orthoganol and/or NUCCA chiropractors can correct the atlas- axis- occipital joint complex but stability of the axis may require an oral orthotic. The dents process of the atlas is the center of rotation for the jaw (quadrant theorem of Guzay). Not sure what a smart guard is but the Aqualizer is excellent short term epecially if doing atlas orthoganol or NUCCA adjustments as it is self leveling. I often have patients wear them after A/O adjustment while traveling directly to my office. vertical heterophoria is one of many visual disorders that relate to headache that is best addressed by a behavioral optometrist. I utilize diagnostic physiologic orthotics at the start of treatment. The Aqualizer won’t show misalignment burt it may improve your symptoms if you are unbalanced. THE AQUALIZER IS AN AMAZING LITTLE DEVICE THAT WAS INVENTED BY A FRIEND OF MINE DR MARTY LERMAN WHO WAS BRILLIANT. I used to review his scientific articles for him prior to being submitted for publication. The company is now run by his son Bob who has exciting plans for new products. In my opinion, I would suggest searching out a ICCMO member for a physiologic evaluation. Also, one more thing, I know a regular chiropractor can do massage which could benefit, but do they usually only guess misalignments? Does a NUCCA chiro deal with just the atlas or more areas too, and which is better for headaches? NUCCA chiropractors are individual some only do NUCCA others do all types of work. A/O chiropractors tend to be more universal. The A? doctor I work closely with also does Cranio and SOT in conjunction with A?O and massage is regularly utilized. This link will give you Physiologic dentists who belong to ICCMO the scientific organization for Physiologic Dentistry. I do not know each doctor personally. There are many names for different types of appliances and many look similar but can have very different effects. Repositioning splints ” says nothing about how the mandible is being repositioned. I often refer to splints and oral appliances as “POPS” or “Pieces Of Plastic” the action is very specific to each appliance. The NTI device is anterior contact only and works by sending Nociception or pain impulses to the brain to prevent clenching. I will use it on occasion as a short term solution but can be problematic long term. Similar appliances are called anterior deprogrammers though I have always called it a Peter Neff Appliance who taught me how to use it around 1980. Anterior only contact can create severe joint problems and tooth mobility if clenching continues. You stated originally ” I always seem to have a headache that never 100% goes away, and it usually varies day to day. It can get worse by mid to the end of the day.” This usully is an indication for more than just a night-time appliance. In general I utilize night-time appliances when patients wake in pain and physiologic orthotics for patients with all day pain or pain that begins later in the day. The Aqualizer relaxes muscle and works by healthy neurologic input instead of nociception. I am currently the Chair, American Alliance of TMD Organizations (www.tmdalliance.org) that has several different groups that treat TMD disorders. They are an excellent resource. I belong to the majority of these organization for many years and while philosophies differ their members are very dedicated to patient care. Most pain associated with TMD are MPD or Myofascial Pain and Dysfunction. Joint pain is usually easy to relate to the joint but muscular pain can refer to the joint. The website www.triggerpoints.net is helpful in understanding how referred pain spreads. So could wearing the aqualizer in the day do anything? I always thought there were regular nightguards that really just prevent the teeth, and then repositioning splints but those are probably very expensive. Is the headache usually from clenching or is it actually from the joint not in the right place? Could the aqualizer help me know if I need a splint for my jaw? I had braces and my teeth all touch fine. If I wore something that prevented back teeth from touching in the day could that also fix a jaw joint that is out of place? Can you only tell with xrays? Wearing the Aqualizers during the day may help your headaches by decreasing muscle issues. You can draw inferences based on response to Aqualizer. The problem is and will remain headaches, all day every day as you described. This discussion is about whether treatment with an oral appliance can help. All appliances have plus and minuses. I would love to give a definitive answer but appliances are basically primarily diagnostic, especially initially. X-rays show changes in bony structures not source of pain. This ICCMO Blog Post may be helpful.